// Ethiopian Airlines would like to invite qualified candidates for the following position. Job Title: - Junior Data Entry & Administrative Clerk Required Qualification: A minimum of College Diploma/ 10+3/Level III Certificate in Management information system/ Secretary/ Office Management/ Record Management & Archives Administration or any related field of study from a recognized College/TVET/Institute with a minimum of one-year experience in known organization. Registration Date: From April 19, 2019- April 25, 2019 Registration Place: Ethiopian Airlines Head Quarter, HR Building (Recruitment and Placement Office) Interested applicants must bring/attach all original and copy of their supporting documents, including 6th /8th Grade Ministry Card/birth certificate from Kebele and one passport size picture when they come for registration on the appropriate dates stated above. If anyone found to apply or join Ethiopian with false information will lead to subsequent termination from the process or employment upon discovery of the face. // ECX VACANCY ANNOUNCEMENT No. 024/2018 ( External Only ) The vision of ECX is to become a leading and dynamic Exchange in Africa. ECX has a mission to provide a modern, efficient, transparent and reliable market platform to serve the national development goals through adaptation of technology, excellence in innovation and with integrity. ECX is a unique partnership of market actors, Members of the Exchange, and its main promoter, the Government of Ethiopia. ECX represents the future of Ethiopia, bringing integrity, security, and efficiency to the market. ECX would like to recruited motivated and qualified applicants for the following positions. 1. Position: Application Developer Job Grade: 8 Duty Station: Addis Ababa Head Office Availability: As Soon As Possible Job Purpose: The purpose of this job is to design, develop, maintain and enhance new or existing applications; to ensure effective and efficient web and windows based software development, system support and troubleshooting of enterprise solutions with high availability and high performance requirements; to provide tier II advanced technical support for all business and corporate applications software and a database which encompasses support and maintenance of headquarter and regional trading centers application software, SUMMARY MAJOR DUTIES AND RESPONSIBILITIES Develops programming code and software modifications using appropriate languages and tools to provide responsive and innovative solutions, and new functionality; Researches, designs, and develops prototypes specific to selected products and technologies to demonstrate utility, productivity enhancements, and cost savings; Writes documentation to provide user support for programs and for production/operating procedures; Develops, maintains and supports associated databases; Analyses user system and application needs, determine and evaluate potential solutions, develop system specifications and requirements, and design application programs to meet the requirements; Designs integrated solutions which may include applications, databases, networks, and related systems; Structures, implements, and maintains database systems; Participates in the establishment and review of policies, standards and procedures to ensure useful and readily accessible data. Analyses data requirements, develops and documents data dictionary, and develops data model Works with business users to elicit business requirements based on project schedule; Develop software development plan in consultation with the line manager; Proactively communicates progress reports, issues and risks on each tasks every week; Work in data warehouse system as assigned by the department manager Ensure that the necessary software related support and enhancements are provided to Tickers, SMS, and IVR, website and MIKs Evaluate produced assessment report to introduce best practice ideas, methods and processes Performs other duties as assigned by immediate supervisor. Job Requirements: Required Qualification and Experience · MSc\BSc in Computer Science, Software Engineering, Information System or other related field. · 2/4 years relevant IT related experience out of which 2 years on software development experience To apply: All interested and qualified applicants may send a cover/application letter and updated CV with relevant important documents via: jobs@ecx.com.et or on www.etcareers.com , or in hard copy by post with position marked on the envelope: Ethiopia Commodity Exchange, P.O. Box 17341, Addis Ababa on or before April 24, 2019. PLEASE MAKE SURE YOU STATE THE POSITION & LOCATION YOU ARE APPLYING FOR ON THE SUBJECT OF YOUR EMAIL. ***** ECX is an equal opportunity employer and encourages applications from suitably qualified female candidates. Only short listed applicants will be contacted. // Ethiopian Airlines would like to invite qualified candidates for the following position. Job Title: - Graphic Designer Required Qualification: BA/BSC degree in Graphic Design/Photography/communication design/visual art or related fields with one year of experience in art/design related activities OR College Diploma or Level III/IV Certificate in Graphic Design/Photography/communication design/visual art or related fields with three years of experience in art/design related activities Registration Date: From April 17, 2019- April 23, 2019 Registration Place: Ethiopian Airlines Head Quarter, HR Building (Recruitment and Placement Office) Interested applicants must bring/attach all original and copy of their supporting documents, including 6th /8th Grade Ministry Card/birth certificate from Kebele and one passport size picture when they come for registration on the appropriate dates stated above. 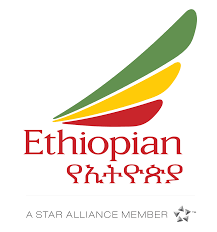 If anyone found to apply or join Ethiopian with false information will lead to subsequent termination from the process or employment upon discovery of the fact. // Standard function description In collaboration with the Prev/com manager, is in charge of the delegation online platforms (website and social media) Develop online strategies and content according to institutional guidelines, in order to reinforce the visibility of the delegation Maintains relations with the online team in Nairobi Support the delegation for all online related needs Personal profile Capacity to set priorities Initiative and sense of organisation Capacity of analysis and synthesis Precise and rigorous Autonomous and flexible 1. SPECIFIC ACTIVITIES a. Generating new content : The Digital Officer generates, identifies, develops, edits and maintains engaging online content for the delegation (photo galleries, feature stories and news releases) and social media (Facebook, Twitter, YouTube) in collaboration with RCC (Nairobi). All content should follow the validation process. S/he will support the day-to-day maintenance and the update of the ICRC website and social media platforms. b. Forward planning : The Digital Officer regularly participates to Geneva's forward planning, notably ahead of ICRC key dates and events in collaboration with Geneva/Nairobi and the delegation in order to coordinate the publishing of special pages/posts on online platforms in a timely manner. S/he is in charge of the editorial calendar for the delegation webpage and social media platforms, and ensures the editorial agenda’s implementation. c. Coaching and training : The Digital Officer coaches and trains communication officers or focal persons of other units in charge of content gathering and generating. d. Statistical analysis : The Digital Officer generates and analyses monthly statistical reports, measures the popularity of the delegation online platforms with Google analytics, Facebook Insights and other tools, identifies pages/posts with low and high visibility and proposes ways to increase views. S/he identifies trends and insights, and optimizes spend and performance based on the insights. e. Digital promotion : The Digital Officer provides proven expertise in digital campaign management on both organic and paid visibility for search and social channels, particularly on SEO, in order to promote a content. f. Technical support : With the support of RCC/Nairobi, the Digital Officer keeps the delegation online platforms technically updated. S/he reports technical problems to the Digital administrator in Geneva to fix it as fast as possible, and ensures the necessary follow-up (test and validation). 2. External Relations a. Building the online network: in collaboration with the Com and RCC/Nairobi the Digital Officer defines and implements engagement strategies for the social media platforms. b. Engaging with the online audience : in coordination with the delegation, RCC/Nairobi, CIM_COM_PR and the concerned delegations, the Digital Officer replies to comments and questions received on ICRC social media platforms (Facebook, Twitter etc.). 3. OFFICE ACTIVITIES a. Reporting : The Digital Officer participates in weekly, quarterly, biannual and ad-hoc reports. The DO participates to the relevant online meetings with the Digital counterparts in Geneva and with the RCC team in Nairobi. b. Administrative tasks : S/he knows, applies and complies with all administrative procedures linked to office work (time reporting etc). c. Treatment of information : S/he registers and treats information accurately and confidentially when applicable, and saves important messages, documents and materials of interest to the ICRC in the electronic archive. 4. OTHER  Contribute to the analysis of the security, socio-economic, cultural and political environment relevant to the delegation and shares relevant information with colleagues. 5. GENERAL DUTIES  Be aware of the delegations objectives and activities  Understand the three components of the Red Cross/Red Crescent Movement  Know how to use the messaging system and the various ICRC standard software and applies IT regulations and procedures  Apply security rules, staff regulations and ICRC administrative procedures at all times  May be asked to perform duties and task not covered in this job description as well as to provide support to other departments when necessary Job Requirements Minimum required knowledge & experience University degree in communications, digital marketing or journalism, preferably with a digital background and specialization (manging websites, social media platforms, video projects, etc) 3 years' professional experience in communications, preferably in the non-profit sector Fluency in written and spoken English and Amharic; French and other national languages is an asset Strong communication and writing/editing skills Capacity to analyse the political and social environment Confirmed computer user and good knowledge of specialized online software Technical skills Proven online content editing skills Strong capacity to use a Content Management system (CMS) (Drupal and/or WordPress and others) Very good knowledge of Google analytics and other web and social media statistics tools Capacity to use Photoshop and illustrator for photo editing At ease with Microsoft Office Word, Excel, and PowerPoint An understanding of Search Engine Optimization (SEO) How to Apply Electronic application can be made ONLY through the ethiojobs.net website. Alternatively, you can submit application & CV with copies of relevant documents in person to the ICRC Delegation in Addis Ababa (in front of EIAR, around Egziabher ab church) OR, send to the ICRC Delegation Addis Ababa, Human Resources Department, P.O.Box 5701, Addis Ababa. Women applicants are highly encouraged to apply. // Data Analyst, Data Analytics & GIS Unit Term of Employment : Through July 2020 Duty Station(s) : Addis Ababa Required Number: One Salary & Benefits : Competitive Application Deadline : April 19, 2019 BACKGROUND The Ethiopian Agricultural Transformation Agency (ATA) is a strategy and delivery oriented government agency created to help accelerate the growth and transformation of the country’s agriculture sector. The ATA envisions that, by 2025, smallholder farmers are commercialized with greater incomes, inclusiveness, resilience and sustainability, contributing to Ethiopia’s achievement of middle-income country status. The agency focuses on two primary national approaches to catalyze agricultural transformation. First, we support the Ministry of Agriculture and Livestock Resources (MoALR), its affiliate institutions, and other partners to identify and address systemic bottlenecks within an Agricultural Transformation Agenda. Second, we support Regional Governments to accelerate development of high-priority commodity value chains in clearly defined geographic clusters, through the Agricultural Commercialization Clusters (ACC) Initiative. Our major activities include conducting strategic and analytical studies, providing technical implementation support, coordinating platforms to better integrate partners and projects, and designing and directly leading a number of implementation projects. Our headquarters are in Addis Ababa, and we have regional offices in Amhara, Oromia, SNNP, and Tigray regional offices, allowing us to work closely with a wide range of public, private and development sector partners across the country. Our Culture We have an exceptional team of highly competent employees with a proven track record of success in managing complex activities and achieving transformational results. Our culture is one where talented, dedicated and adaptable individuals are committed to doing their best and exhibit great team work to achieve excellent results. At ATA, we provide an exceptional platform for people who want to achieve their highest potential and make a meaningful contribution in changing the country’s agricultural sector. We offer rewarding work in a young, fast-paced growing organization with passionate, committed, motivated colleagues and excellent career development and training. We recognize our most valuable assets are our staff and are committed to providing our employees with the tools, training and mentorships necessary to achieve their career goals. ABOUT THE VERTICAL AND TEAM: As the ATA’s strategic advisory and consulting function, the Analytics Vertical works with Senior Directors and Directors across the organization, as well as senior leadership at key government, development and private sector partners, to execute high-impact, analytically challenging assignments. The vertical applies an approach similar to top strategy consulting firms and government strategy units in a number of countries, to support these partners to more effectively bring together the strategic, analytical, technical and operational capabilities required to support agricultural transformation. Through the introduction of a dedicated Data Analytics & GIS Unit within the Analytics vertical, we aim to strengthen our overall capabilities and use of data, geographic information, data-driven and geospatial analysis and visualization at the ATA. The Unit will establish data-sharing partnership with key external partners, build out and manage critical systems and tools and make these accessible to the staff across the organization, ensure data governance and other key guidelines and documentation is in place, service ad hoc data analysis and GIS related requests from staff, and provide training and user support. POSITION SUMMARY: The Data Analyst will report to the Manager of the Data Analytics & GIS Unit, will be responsible for supporting the establishment of this new Unit and its effective functioning as a provider of best-in-class tools and services to ATA teams and staff. The successful candidate will have experience with database development and management, data analytics and visualization, and GIS and geospatial analysis approaches. He or she will also have advanced skills and experience with related software tools. Specific experience in government, the development sector and/or agriculture in particular is desirable, as is a clear passion for improving the lives of smallholder farmers. ESSENTIAL DUTIES: Contribute to development and regular updating of data management and governance guidelines, data dictionaries, data models, and other documents required to support effective data provision, Lead database structuring and management, including regular acquisition and integration of data from partners, data validation, data cleaning and processing, and release to user including training and trouble-shooting Prioritize and complete basic requests for data extracts, data manipulation, analysis, visualization, and GIS mapping, and support on more complex requests, ensuring high-quality service provision Support the piloting, implementation, administration and ongoing enhancement of systems and tools, including rollout of MS Power BI, Arc GIS Desktop and other applications to users Regularly identify and implement refinements in own areas of responsibility and approach for engaging with other ATA staff / users REQUIRED QUALIFICATIONS: Bachelor’s Degree in Computer Science, Information Systems, GIS, Mathematics, Statistics, or another relevant field from a reputable university required At least five years of experience required in areas related to database development and management, data analytics and visualization and GIS and geospatial analysis Demonstrated skills and experience with three or more of following software tools: MS Excel, MS Access, MS Power BI, GIS Software (ArcGIS, QGIS), Tableau, SAS, R, Statistical Software (MATLAB, SPSS, STATA), Database Management (MySQL, Oracle, Microsoft SQL Server, or others) Skills and experience with one or more of the following programming languages preferred: SQL, C#, Python, Java Experience in implementation and administration of data sharing portal and mobile data collection platforms is preferred. Interest and experience in the development sector or public sector, and in agriculture, preferred Strong ability to communicate clearly and effectively on data, IT systems and analytical topics Highly collaborative working style, drive for learning, and receptiveness to coaching and feedback Strong set of personal values including integrity, honesty and desire to be of service Prepare end user manuals and documentations. Perform related additional tasks when assigned by the immediate supervisor. Fluency in English and Amharic required APPLICATION INSTRUCTIONS We invite all candidates meeting the required qualifications to send (i) a cover letter, (ii) CV ( maximum 5 pages), and (iii) a completed online ATA Application Form at https://apply.ata.gov.et Or email to to recruitment@ata.gov.et Also, please DO NOT submit scans of certificates with your application form. Women are highly encouraged to apply. Only short listed candidates will be contacted. // CARE Ethiopia’s mission is to work with the poor women and men, boys and girls, communities and institutions, to have a significant impact on the underlying causes of poverty in Ethiopia. 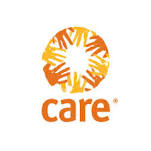 Date: April 08, 2019 Vacancy #: 027/19 Salary: USD 150 No of position; 2 (Two) Length of Employment- 4 months Duty base: Head Office Dead Line: 10 days from the date of advertisement Objective : CARE Ethiopia’s Female-only Internship Program offers an outstanding fresh graduates an opportunity to acquire direct exposure to development and humanitarian work with learning and growth opportunities and professional work experience. The program prepares interns for future job prospects in or outside of CARE. Interns in turn, become a significant asset to the organization since they can potentially offer excellent academic credentials, including most recent thinking and research tools in their area of study. This particular vacancy is to look for two vibrant female graduates who would like to join our program team. Scope of Work and Deliverables The Feed the Future Ethiopia - Livelihoods for Resilience Activity (hereafter Livelihoods for Resilience Activity) is a five-year USAID-funded project running from December 5, 2016 through December 3, 2021 The project works in support of the livelihoods component of the Government’s Productive Safety Net Program (PSNP), and targets PSNP households in 27 woredas of Amhara, SNNP, and Tigray regions, with the aim of enabling 97,900 households to graduate with resilience from the PSNP. Major deliverables of LRA intern includes:- · Assist M&E team in rolling out of project’s MIS and other complementary databases · Conduct frequent travel to field, and provide coaching and mentoring on the routine collection using a digital platform · Laisse with IPs M&E and field team to collect updates on VESA list, CF list and HHs profile and asses its quality before use for MIS updating · Support MIS specialist in monitoring the quality of data entered into the MIS and conduct field level data quality assessment to ensure the consistency of MIS data against source documents. · follow up timely submission/entry of monitoring data into the GRAD2 MIS and other complementary system · Entering PACE data into Goodera MIS regularly and follow up its quality Job Requirements : Education Bsc. Degree in MIS , Computer science , Information science, and related fields WORK EXPERIENCE : 0-1 Year Maximum Desired Technical Skills Familiarity with DHIS2 platform is a plus How To Apply: If you are interested to be part of our dynamic team, exciting work environment and contribute to CARE Ethiopia’s mission and vision, please APPLY DIRECTLY on ethio jobs website with: CV (not more than 3 page) and cover letter (not more than one page). Please note that only shortlisted candidates will be contacted. // Concern Worldwide is an Irish-based non-governmental, international, humanitarian organization dedicated to the reduction of suffering and working towards the ultimate elimination of extreme poverty in the world’s poorest countries. Concern Worldwide - Ethiopia Programme works in Somali, Gambella, Amhara, Tigray, Addis Ababa, and SNNPR, with humanitarian and development programmes seeking to address both the acute and underlying factors causing malnutrition, hunger and poverty. We are seeking dynamic, highly organised and passionate candidates who are committed to our mission and values. This critical senior leadership role will ensure that Concern’s systems – Security, HR, Logistics, Transport, Admin & IT – are able to respond rapidly to humanitarian crisis and support effective and efficient programme implementation. We want to hear from qualified candidates with senior leadership experience, who can build high performing, accountable teams and improve systems and procedures, using technology and best practice, to ensure they are agile and fit for purpose. You will be central to our fast-paced, dedicated country programme team and regularly reflect, learn and improve our work to ensure the highest quality services for children, women and men affected by disaster, hunger and poverty in Ethiopia. Job Title: Systems Director (National Position) Reports to: Country Director (CD) Direct reports: HR and Admin Manager, ICT officer, Log and Transport Coordinator in Addis Ababa Matrix manages field based Log and Transport staff Liaises with: Internally: Concern Ethiopia SMT and CMT members, all Concern Ethiopia staff, Dublin based Logs, HR, Transport and Security Advisors, SDs in other Concern Countries Externally: close liaison with the Concern legal advisor; other INGOs, UNDSS, Alliance2015, ChSA and any other relevant external stakeholders Job Location: Addis Ababa with frequent travel to the field bases (30%) - Somali, Gambella, Amhara, Tigray, and SNNP Term of Employment: One year – with significant possibility of extension Job Purpose: As a member of the Country Management Team (CMT), the SD contributes to the development and management of the overall country programme, ensuring effective and efficient systems support to programme implementation in both development and an emergency contexts. Reporting to the Country Director (CD), the SD is responsible for coordinating and managing the support systems (Admin, HR, Logistics, Transport and IT) and has operational responsibility for security management for Concern’s programme in Ethiopia. The SD is aware of, understands and ensures staff and system compliance with all of Concern’s policies and procedures. The SD, in consultation with the CMT and Dublin, will develop Concern’s systems, staffing and procedures to increase efficiencies and accountability, and to maximize our impact on poverty and crisis reduction. The SD will represent Concern to relevant external stakeholders as necessary. Main duties & Responsibilities: Senior Management role: Participate in the management of the country programme’s strategic issues through involvement in decision making in the CMT and extended CMT. Support the achievement of Concern Ethiopia’s Country Strategic Plan (2018 – 2021) and other strategic frameworks (Preparing for Effective Emergency Response (PEER), Security Management Plan (SMP) etc.) in collaboration with all relevant staff and third parties Support the Programme Directors and Country Director in the analysis of potential new programme areas, including ensuring comprehensive analyses of logistical and security issues and appropriate mitigating measures to address them. Produce strategic analysis and plans for all systems support areas to strengthen the control environment while delivering fast, effective and efficient support to the programmes. Ensuring that key Concern support policies and SoPs (Procurement and Logistics, Transport, HR, Warehousing, IT, SMP) are continuously updated as required and appropriate to the context Support the roll out of organizational safeguarding and gender commitments, ensure Concern is a safe and family friendly organization for all staff. Participate in investigations and complaint response as required. Management of Systems/ Support Functions Logistics Ensure that logistics systems including procurement, fixed asset management, transportation, warehouse storage, control of and reporting on the use of supplies are carried out in accordance with Concern and Donor procedures and policies Ensure efficient and timely procurement of goods and services in a transparent and accountable manner, ensuring value for money and justifiable use of funds. In collaboration with programmes teams, prepare and oversee a master annual procurement plan and ensure each project has procurement plans Establish and maintain a Pre-Qualified Suppliers list, Ensure price lists are available for effective budgeting. Train, support and check personnel involved in procurement – oversee compliance of the logistics team Lead on tendering, contracting and international procurement · Ensure a clear, well-documented paper trail in systems files · Implement effective and efficient asset management controls and procedures and monitor these on an ongoing basis · Ensure that guidance, training and monitoring of all logistical procedures and policies are given to all field locations · Review the SR tracker on a weekly basis and ensure that delays are rapidly identified and addressed in collaboration with programmes and logs teams. Transport In collaboration with Log and Transport Coordinator ensure cost effective maintenance of the Concern Worldwide fleet of vehicles · Ensure accurate and timely transport reports and provide recommendations to CMT · Assess the transport requirements of the country programme on a regular basis and ensure appropriate solutions are implemented · Ensure all offices comply to the Transport and Fleet Management Policy Human Resource Management Ensure all existing and new HR Policies are devised, implemented and reviewed in line with those issued by Head Office and Ethiopian Labour Law, and duty of care. Actively promote diversity and gender equality in the workplace through improving and implementing recruitment and retention procedures. Advise the CMT on strategic HR issues and risks, taking the lead on key HR initiatives. Supervise and support the HR and Admin Manager to ensure that HR procedures, including recruitment and performance management, are complied with by all staff and that managers receive the training and support they need to manage their teams appropriately. Supervise and support the HR and Admin Manager to develop an induction, training and development strategy and annual plan in collaboration with department heads Promote an attractive working environment based on equality, empathy, and integrity where staff feel safe, valued and respected. Administration Oversee the maintenance and running of Concern’s premises (offices, stores and residences) ensuring that adequate supplies, staffing and support systems are in place in Addis and field offices. Ensure that the minimum standards for staff accommodation and offices are budgeted for and implemented in all field locations. Ensure the leases for all premises are pro-actively managed and closed out as required. Take the lead on managing legal risks, ensuring compliance with relevant Ethiopian law in all contractual and taxation matters, liaising with the Concern lawyer on all legal matters. Ensure that all issues related to taxes and government authorizations (communications licenses, legal registration, project authorizations etc.) are managed proactively Ensure that clear procedures for national and international travel arrangements are in place and are understood and complied with by all staff. Security Management: In conjunction with the Country Director, take overall responsibility for the security of Concern Ethiopia’s employees, premises and equipment. Act as the overall Security Focal Point for the Country Programme Ensure all new staff and visitors receive thorough security briefings and apply Concern’s security protocols at all times Liaise with necessary external bodies to keep abreast of current affairs in order to maintain an awareness of economic, political, humanitarian and security developments in Ethiopia and the Horn of Africa. Coordinate and chair regular security meetings with the Security Focal Groups (SFG) to keep up to date with security incidents in all field locations. Work with the SFGs to ensure the development and maintenance of effective security systems for Concern employees, programmes and property. Ensure SFGs submit minutes of groups. Revise regularly and implement the Ethiopia SoPs. Work closely with ACs to ensure humanitarian access and staff safety Report access incidents on the OCHA Access database. Undertake and/or ensure that Concern Ethiopia staff receive regular Security Trainings and that evacuation/fire drills are carried out on a regular basis. Prepare monthly security briefs and sharing with the Field and Dublin. Communication & IT Systems Support · Oversee the development and roll-out of IT systems that improve the efficiencies of the country programme, including HRMIS, Grant Management System, Fixed Asset and Procurement. · Supervise the IT staff to ensure that IT systems are effective and that IT and communication needs of all staff are met, particularly the availability of internet · Ensure that all staff understand and comply with IT policies and procedures Financial Management: Ensure that annual support cost budgets (and budget revisions) are complete, realistic and comply with relevant Concern and donor requirements Support the programme team in the preparation of proposals, ensuring in particular that proposal budgets include complete and realistic support costs. Work with the Country Financial Controller and programme budget holders to ensure management of relevant support department costs in programme budgets and expenditure. In conjunction with the Country Director and Country Financial Controller set, manage and monitor the Systems annual budgets for international staff/ Transport/ Administration. People Management: Manage senior Systems Department staff, contributing to their capacity building and career development through technical support and on-the-job training and coaching, including in particular a thorough induction at the start of their contract. Ensure that all department positions have accurate job descriptions and that each member of the team fully understands outcomes which are expected of them, by setting SMART objectives, and that they are aware of the success criteria relating to their work. Ensure that all department staff are aware of and comply with all of Concern’s policies and procedures. Monitor and review performance of senior Systems Department staff and hold staff accountable for meeting their success criteria; give corrective feedback where required and take decisive action in the case of poor performance. Ensure that work within the team(s) is planned and organized in a way which will meet the organization’s needs in the most cost effective manner possible; ensuring that team members are given appropriate workloads and are working efficiently. Gender Equity: · Provide leadership to demonstrate that Concern strives to become a gender equitable organization with a positive gender sensitive working environment · Ensure the implementation of Concern’s gender equality strategy in relation to HR policies and procedures · Lead on the development and implementation of the affirmative recruitment policies in order to improve staff gender ratios within the organization · Ensure that gender equity is maintained in training, career promotion, and organizational benefits for female and male staff · Ensure all new staff are acquainted and familiar with Concern’s gender equality strategy Representation: Stand in for the CD when necessary to represent Concern at relevant government, donor, UN or inter agency meetings. With the CD, contribute to national-level NGO / UN coordination efforts to facilitate effective humanitarian intervention in the country. Other: Take active measures to address equality issues, particularly relating to gender, in programme as well as operational (eg HR) activities. Ensure the highest standards of accountability through ensuring good communication and information sharing within and outside the programme and enabling staff, beneficiary and other stakeholders’ participation at all stages of the project cycle. Be aware of, understand and comply with all of Concern’s policies and procedures (finance, logistics etc). Be aware of, understand, comply with and be a model of Concern’s HR policies like P4 and Code of Conduct. Actively participate in any emergency response if necessary.Undertake other related duties as may reasonably be assigned by the Country Director. Emergency response Concern is committed to responding to emergencies efficiently and effectively in order to help affected people meet their basic needs, alleviate suffering and maintain their dignity. To this end, when emergencies strike and Ethiopia Programme is to respond, all staff are required to actively participate in the response, regardless of location and contribute to the efforts aimed at achieving the humanitarian objective of the organization. Person specification: Essential 3 rd level qualification in relevant field (Business Administration, Human Resources, supply chain management or any other relevant disciplines) At least 6 years’ experience with an NGO in systems roles, 2 - 3 years at a senior management level. Experience of leading and managing a diverse team of senior staff including international staff. Proven strong management ability, including ability to motivate and develop skills of others. Empathy with Concern’s vision, mission, goal and objectives and commitment to capacity building, protection and participation. Desirable Ethiopian national with overseas working experience Experience of a range of donor rules and regulations, particularly OFDA, UN-OCHA, EU and ECHO Knowledge of Concern Policies Experience of both development and emergency contexts Special Skills, Aptitude or Personality Requirements: Essential: Fluent English (written and spoken) and excellent communication skills Excellent organisational and planning skills. Strong problem solving and analytical skills. Willingness to travel frequently to rural field locations and experience fairly basic conditions. Excellent interpersonal skills, Cross cultural awareness and sensitivity. Resilient with a good sense of humor Demonstrated experience of team building and working in a participatory manner. Ability to work on own initiative. Flexible and adaptable approach to working in a changing environment. Ability to work under pressure with numerous deadlines, and priorities. What we Offer: · A competitive salary and benefit package · Excellent medical benefits (100% cover including dependents) · 20 days annual leave · 26 weeks (paid) maternity leave, 18weeks(unpaid) parental leave · Opportunities to travel overseas and gain international experience Concern has a Staff Code of Conduct and a Programme Participant Protection Policy which have been developed to ensure the maximum protection of programme participants from exploitation and to clarify the responsibilities of Concern staff, consultants, visitors to the programme and partner organization, and the standards of behaviour expected of them. In this context staff have a responsibility to the organization to strive for, and maintain, the highest standards in the day-to-day conduct in their workplace in accordance with Concern’s core values and mission. Any candidate offered a job with Concern Worldwide will be expected to sign the Programme Participant Protection Policy and the Concern Staff Code of Conduct as an appendix to their contract of employment. By signing the Programme Participant Protection Policy and the Concern Staff Code of Conduct candidates acknowledge that they have understood the contents of both the Concern Staff Code of Conduct and the Programme Participant Protection Policy and agree to conduct themselves in accordance with the provisions of these two documents. Female candidates are highly encouraged to apply. Only short listed candidates will be contacted HOW TO APPLY: Interested applicants should send non-returnable C.V., application letter outlining how your experience and education fit this vacancy, please note that no need to submit your supporting documents at this level: Concern Ethiopia, Human Resource Department ethiopia.recruitment@concern.net OR P.O. Box 2434, Addis Ababa. // Job Responsibilities Works closely with division management counterparts to ensure internal customer satisfaction and input for annual plan development, implementation, and quality control; Develops and proposes ISPMO strategy to the Chief Information Officer; Continuously assesses the ISPMO division work and proposes changes and enhancements to improve the results; Sets management team objectives, goals, and performance standards and facilitate team’s alignment and cascading; Synchronize the work and communicate constraints and problems with the Chief Information Officer; Evaluates and measures direct reports’ performance and take appropriate actions; Reviews and consolidates division budget; Oversees the appropriate project methodologies and contextual approaches are utilized in bridging business needs and solutions, managing projects, and quality control; Performs annual assessments of all ISPMO work practices and proposes improvements where necessary; Keeps the Chief Information Officer regularly informed of new trends and developments in the project management discipline; Provides follow-up on audit report findings related to the division work; and Analyze needs, assess the capacities of staff, and propose continuous education (e.g. training plan, ToT, seminars). Job Requirement B.sc. Degree in Computer Science, MIS or Computer/Electrical Engineering field; with 15 years of Banking experience, of which 3 years in a Senior Management role preferably in banking industry. How To Apply Interested and qualified applicants should apply through CBE career website https://jobs.cbe.com.et:4453/OA_HTML/IrcVisitor.jsp , and required to attach curriculum vitae, work experience document and other necessary credentials within ten consecutive working days from the date of this announcement. However, the bank has full right to cancel or take any other alternative in this regard. All documents should be scanned in pdf or docx formats only and the size of the documents should be less than 2MB. A detailed guide on how to apply is available on our Bank public website’s (www.combanketh.et) vacancy section. // Junior IT Officer Minimum BSc Degree in Computer science, Computer Engineering, Information Science and any Information Technology related filed with a minimum one year experience in system support and administration. Place of Work: Head Office Salary: Attractive and per Banks’ scale Application Dead line: April 8, 2019 Only short listed candidates will be communicated How To Apply: Interested id qualified applicants fulfilling the above criteria can apply in person at Head Office Zequala Complex located around Bambis In front of NOC Gas station. // Lion Insurance Company (S.C) wants to hire qualified & competent Candidates for the following vacant positions. Web Developer BSc in Computer Science or related fields Experience: 4 years Additional skill: Business intelligence, Data analysis.. .etc Req. No. : 1 Place of work: Addis Ababa Term of Employment: Permanent Salary & Benefits: Per the salary Scale & Benefit Packages of the Company Experience shall be considered after graduation How To Apply: Interested applicants, who full fill the aforementioned requirements can submit non-returnable application latter, CV & copies of testimonials accompanied by original documents in person or using the P.O.Box: 26281/1000 until April 05, 2019 to:- Lion insurance Company (S.C) Head office, located at Haile G/slassie Avenue, Lion Insurance Building HR& Facility Management Department 4th floor: Tell: - 0116187000/0116352285 Addis Ababa. // Senior ERP Consultant ( Re) Term of Employment : One year with possibility of extension Duty Station(s) : Addis Ababa, Ethiopia Required Number: One Salary & Benefits : Competitive Application Deadline : April 7, 2019 BACKGROUND The Ethiopian Agricultural Transformation Agency (ATA) is a strategy and delivery oriented government agency created to help accelerate the growth and transformation of the country’s agriculture sector. The ATA envisions that, by 2025, smallholder farmers are commercialized with greater incomes, inclusiveness, resilience and sustainability, contributing to Ethiopia’s achievement of middle-income country status. The agency focuses on two primary national approaches to catalyze agricultural transformation. First, we support the Ministry of Agriculture and Livestock Resources (MoALR), its affiliate institutions, and other partners to identify and address systemic bottlenecks within an Agricultural Transformation Agenda. Second, we support Regional Governments to accelerate development of high-priority commodity value chains in clearly defined geographic clusters, through the Agricultural Commercialization Clusters (ACC) Initiative. Our major activities include conducting strategic and analytical studies, providing technical implementation support, coordinating platforms to better integrate partners and projects, and designing and directly leading a number of implementation projects. Our headquarters are in Addis Ababa, and we have regional offices in Amhara, Oromia, SNNP, and Tigray regional offices, allowing us to work closely with a wide range of public, private and development sector partners across the country. Our Culture We have an exceptional team of highly competent employees with a proven track record of success in managing complex activities and achieving transformational results. Our culture is one where talented, dedicated and adaptable individuals are committed to doing their best and exhibit great team work to achieve excellent results. At ATA, we provide an exceptional platform for people who want to achieve their highest potential and make a meaningful contribution in changing the country’s agricultural sector. We offer rewarding work in a young, fast-paced growing organization with passionate, committed, motivated colleagues and excellent career development and training. We recognize our most valuable assets are our staff and are committed to providing our employees with the tools, training and mentorships necessary to achieve their career goals. POSITION SUMMARY: The Senior ERP Consultant provides and utilizes technical skills across the life cycle of programming requests including, but not limited to, design, programming, documentation, testing, implementation and support. This role works directly with several departments to meet their specific programming requests. The Senior ERP Consultant possesses functional business process knowledge in one or more areas of Finance, Human Resources, Payroll, procurement, Logistics and fleet. The Business Applications Senior Developer works with a solid knowledge of IT architectures including applications, database, networking, and security. Initially this position will be responsible for fine tuning the existing implementation and implementing a new development requests as desired. Once implemented, this position will oversee the environment, ensuring that it is kept up to date, standardized, and that all development work performed is up to standard and as per the request by user teams. ESSENTIAL DUTIES: Work with a team within the ATA Enterprise Resource planning system (ERP) namely Unit 4 Business World (Agresso) augmenting current program resources and provide technical assistance and consultation services in support of the operations and maintenance of the existing ERP system. Analyze, define, and document technical requirements for workflow, logical processes, and interfaces with other systems. Design new applications based on provided functional requirements documents. Create logical and physical relational database designs. Maintain and enhance existing ERP application programs as requested. Develop and implement program code based on design specifications using accepted programming techniques and standards. Create and maintain all necessary application and program documentation. Interprets enterprise business needs in design of program enhancements, tools, and platforms. Works with process owners and other team members to define deliverables and project plans. Assist in the periodic review and revision and enhancement of the Operations and Maintenance of the existing Agresso ERP; Use the Project Management tool to record time and progress reporting. Assist in the development of project plans. Manage incidents using the Department tool; Perform a preliminary impact assessment of any support requests and provide an impact analysis that covers impact to hardware, software, schedule, and any downstream impact to other IT systems, projects or programs as requested. Lead and manage support requests as assigned; Implement potential and proposed changes to ERP with in the given time frame. Assist in determining the problem and resolve requests. Break-Fix resolution and root cause analysis support to address application problems; Assist in the proactive management of systems and hardware. Root cause analysis and resolution plan implementation. Identify fixes that require code modification / enhancement to correct operational deficiencies Perform routine system tests to determine if operational problems exist. Analyze identified problems for root cause and options for resolution; Develop functional specifications to document system changes and enhancements. Correct if there are errors identified in current system. Research Agresso documentation to identify fixes for potential and reported problems and apply to increase system efficiency; Maintain a daily log of activities worked to include begin and end times using the project management tool. Complete a monthly time sheet and provide supporting documentation. REQUIRED QUALIFICATIONS: MSc/BSc in computer science, information science, computer engineering or related field, or significant equivalent experience with the following skill sets: Software Design, Software Debugging, Software Development Fundamentals, Software Documentation, Software Testing, Software Requirement analysis, Software Development Process, Database development and administration, Software support, and problem solving. Minimum of 8 years of relevant professional experience with Master’s degree or 10 years with Bachelor’s degree total experience in software development or application support. Minimum of 5 years’ experience in ERP system development and support. Additionally the applicant should be conversant on using customization tools and Report Studio. 5 years minimum programming experience, including C#, PHP, ASP.Net or MVC 4 year minimum experience working with relational database systems such as MSSQL, MySQL or Oracle and a good working knowledge of SQL Ability to optimize the solutions according to business requirements. Ability to troubleshoot complex applications with multiple data sources and integration points. Increase knowledge in the area(s) of programming languages and databases. Demonstration of strong organizational skills; ability to work effectively under extreme stress; ability to effectively manage programming requests simultaneously. Demonstration of attention to detail and a high sense of accuracy. Ability to maintain positive interpersonal relationships which encourage openness with customers and peers. Demonstration of good verbal and written communication skills. Ability to remain confidential with sensitive materials such as ERP financial data. APPLICATION INSTRUCTIONS We invite all candidates meeting the required qualifications to submit (i) a cover letter, (ii) CV (maximum 5 pages) to recruitment@ata.gov.et by mentioning the position title on the subject line Please DO NOT submit scans of certificates with your application. Women are highly encouraged to apply. Only short listed candidates will be contacted.